Bedouin in Egypt's Sinai region kidnapped 25 mostly Chinese cement factory workers on Tuesday, demanding that authorities free fellow tribesmen from prison, sources from the tribe said. "We will not release the Chinese until our demand for the release of these sons of Sinai are met," said one of the Bedouin who wanted to remain anonymous. The workers were kidnapped on their way to a Sinai Cement plant and were being held in a tent near a road that the Bedouin had blocked for the past three days to press their demand, the sources said. 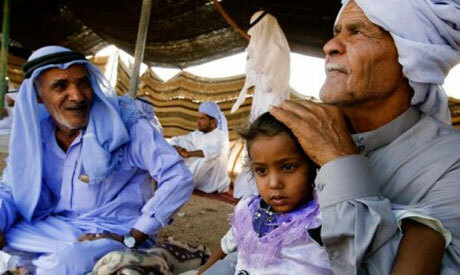 They said their jailed tribesmen were arrested between 2004 and 2006 as part of an investigation into bombings at the Taba resort on Sinai's Red Sea coast in which 31 people were killed.